A short break from ceaseless punditry on “Brexit” was given over to chancellor Phillip Hammond’s declaration of the “end of austerity” in the UK. Of course this comment on the autumn budget, made at the end of October, has been met with scepticism. Paul Johnson of the Institute for Fiscal Studies told the BBC (2018): “Arguably he’s just about got to the absolute minimal definition of ending austerity but it’s certainly nothing like a bonanza for the rest of the public services”. And what does it mean to make plans for the future amidst the uncertainty of Brexit? The two events can hardly be separated (Fetzer 2018; Goodwin and Heath 2016). What we are seeing is not the end of actually existing austerity but the end of austerity’s discursive/affective usefulness for a government in chaos. Use has been shifted onto the promise/threat of an end if we get the “right deal”. Austerity as disciplinary force continues. The carrot is dangled: if “we” have paid our dues then we can relax, perhaps hope for something other than decline in the midst of a Brexit impasse. The question, “is this really the end of austerity?”, is a red herring. Rather, the statement raises a number of issues that should not be thought outside of Brexit. The first is obvious: the impacts of structurally embedded cuts, reforms and withdrawals will continue to persist long after what is named here as an end of austerity. Debt has been moved as much as re-moved. Relations between local and central government have been fundamentally re-shaped, as have the provision of key services in and beyond social care and health, education, work and pensions, digital, culture, media and sport. It is vital for radical geographers to continue to surface, explore and resist the unevenly distributed effects of these cuts and reforms, to show how the ideological project (Blyth 2012) exacerbates already existing inequalities. It is imperative to draw even more attention to the everyday relationships that have been altered in austerity and continue to be impacted by its legacies. It is in everyday life that the echoes of austerity will continue to reverberate. The second, related, concern is more complicated. Missing from much of the recent research on austerity and everyday life is focus on that which ends in austerity, that which is lost in austerity: the absent, as well as the silenced and the muted. This needs to be addressed. Therefore the naming of “the end of austerity” should provoke us to think more about this: what is an end, and for whom? How do endings happen? How do they become present, and what do they make present? Re-thinking “endings” in this way gives form to what sort of thing austerity is, as it continues to be lived. We know by now that austerity has extended existing social and economic inequalities. Cuts and reforms target already marginalised groups and exacerbate divides of class, race, gender, ethnicity, sexuality and disability at a local, regional and global level (Atkinson et al. 2012; Emejulu and Bassel, 2017; Hall et al. 2013; WBG and the Runnymede Trust 2017). For example, Pearson and Elson (2015) describe how the biggest fall in disposable income as a result of austerity policies in the UK has been borne by already disadvantaged groups, including lone mothers and single women without children who are precariously employed or out of paid work. Via the “localisation of responsibility” (Strong 2018) care of a “safety net” is no longer distributed across the many via central government, but pushed into the hands of already struggling and disadvantaged individuals and communities. Current research makes the everyday challenges of life in these circumstances present and visceral. However, whilst revisiting work on austerity in everyday life I felt a sense of unease. I noticed, not a problem but a gap/gaps/cracks… through which some lives, buildings, projects, hopes, institutions, infrastructures had fallen. This work attends to spaces that are obviously accessible: the skin of austerity. We see a food parcel being exchanged (Strong 2018). We see a cookery class facilitated (Hall 2018). We see budgets being juggled (Stenning 2018). We see hardship and we see springs of hope in the cracks. What are reproduced (in part) are scenes of resilience: formations of individual and collective robustness and adaptation that, in one sense, go right to the ideological heart of austerity. Work that notices “what happens” in the wake of the cuts is important and must continue, must, indeed, ramp up, amidst declarations of the so-called “end” of austerity. But sometimes, somewhere, nothing appears to happen. As competition intensifies for public funds, individuals, and organisations, inevitably lose out. They cease to exist. Rarely do we have a sustained encounter with an empty space, a body without a place to go, a closed door, at least not in work on the everyday geographies of austerity. By failing to take account of the problem of researching only what is easily apparent, we risk amplifying the violent mechanisms of austerity itself. We circulate sites of struggle, and risk repeating austerities” indifference to the lost. This is the result of methodological challenges that accompany cutting deeper and locating resemblances, “getting at” endings, the ended, and gaps that appear in the everyday life of austerity. Endings lurk in the background and surface from time to time. We encounter, for example, practices of weary endurance (Wilkinson and Ortega‐Alcázar 2018) and anxious anticipation of cuts (Horton 2016). We learn what happens in response to redundancy (Stenning 2018) and welfare withdrawal (Strong 2018). We see flat but pragmatic moods of resigned acceptance (Hitchen 2016) as well as slow processes of withdrawal, and fragmented loss. There are no more flowers at the end of the street; the rubbish is no longer cleared; a field cannot be played on because the grass has grown too long (Raynor 2017). These are visible traces of service cuts. They might not be felt intensely but they matter. And these are effects of austerity that may (with additional funding) be reversed. What cannot be recovered are the memories never made – games on the grass – though they emerge in a lament. For some individuals and organisations, austerity spells a series of distributed withdrawals that re-orientate them gradually: for others it spells a fall… straight through the cracks. Is it possible, then, to go further? To uncover the experiences of a personal independent living claimant, who is declared fit for work, and does not have any family to support her: no one to make an appeal? Can we ask: what happens to the hungry at home, without food-bank vouchers, when universal credit is delayed? What about the staff laid-off when the youth service folded? What happened to their “clients”? What about the library in the ex-mining village, which had no willing volunteers? What about the single mum, who hasn’t got any friends, struggles with workfare reforms, and doesn’t get invited to the local community gathering? Or doesn’t feel that she can attend? And why? What kinds of appeal, charisma, worthiness, or luck, become necessary in the model of community resilience, amidst a transferral of responsibility? “What continues to end?” “How do these endings take place?” “What are the lasting effects of this?” “How to learn from and make present how endings are formed and experienced and re-animate the no longer visible?” “What methods have we got to think about endings?” “What language?” My own grammatical battles in this short piece attest to the challenge. Words and sentences like emergences; they’re less inclined towards endings. Yet, words and scenes make the absent present, or at least they make an “impression” of absence. How to go further then? There are the (always-contentious) numbers. Actual lives: 120,000 “extra deaths” in austerity (Watkins et al. 2017). Departments and services scaled back and withdrawn: arts classes, sure start centres, nurseries, schools, youth centres, health centres, libraries, leisure centres: closed. It is no surprise that those endings fold back into and exacerbate the effects of another raft of endings: the ends of industrial labour (Beatty and Fothergill 2017). We should continue to make these absences more visceral. And institutions: not just the services, spaces and buildings once run and delivered directly by the public sector, but the smaller third-sector organisations which had relied on departmental and local authority funding too. We should talk to people. Story the lost, attending properly to their declines: How did it happen? Was it slow? Was it abrupt? How was it experienced? What lingered or remained? And then we might trace “fragments and their patterns” of the ends in austerity (Amoore 2018). This work is not easy. Firstly, austerity localism shifts responsibility from central government onto the shoulders of the already disadvantaged and onto the shoulders of those at the point of delivery. This seeks to make those bodies bear the burden of their own downfall. A sense of failure often accompanies “falling through the net” for marketised organisations – there is a structural reluctance to make the gaps and cracks visible. Researching the ended as well as the ending, is always also about holding onto (re)locations of responsibility. Secondly, how to navigate a politics of what is ended, why it matters and for whom, through methods which might necessarily include forms of speculation, story gathering, and scene making? What happens, for example, when the “ended” service was a preventative measure? How to get at the effects of that? How to imagine the lost possibilities of a life cut short? How to grasp at the sense of belonging, which was found in a now empty building? What if the ended is a feeling of confidence or security or apathy, or collectivity? How to evoke these losses? Thirdly, there is an imperative to remain open about how ending are experienced, and what they do. Perhaps individuals and communities are ambivalent about an ending? Still they matter. Fourthly endings are not always linear. How to hold onto slow deaths, suspensions, and circular or stuttering rhythms of opening and closure, as well as sudden losses and lingering hauntings? And, how can we write of endings without writing out springs of hope? In fact, we can explore hope and grief and the conditions for hope and grief in the end. Are they cruel? How does the form of an end, and analysis of an end, shape a new beginning? An ending is a threshold between the known and the unknown, the sleep and the wake: the life and the death. It is the line that gives form to the shape. If our limited being is a critical resource (Foucault 2005), then endings orientate us towards our limits; they act as sites of exposure to that which is impossible or unthinkable. Endings are an integral part of austerity, they’re found in the naming of “cuts”, but are often skimmed past in analysis of everyday life. We should not repeat austerities’ indifference to the ended. Instead unpacking relations between endings, the end and “finitude” in geographies of austerity enable us to think critically with the practices and politics of “what becomes present”. Even if they are messy and always incomplete, endings are an opportunity to take seriously the significance of the absent for the present. And so we should find techniques to better explore (even when intervening feels no longer possible) what has ended in austerity and how those endings play out. What are the limits to our understanding of the end? And how might those limits become constructive? How do endings actually happen and how are they named? What gaps exist between the naming and the happening of an ending? Can and should they be closed? How are endings felt? What lingers? The gathering of such impressions gives form to austerity that might lead to a different kind of opening, and another kind of ending, though it is impossible to know, at this stage, what that might be. A deeper geography of endings and withdrawals, better understanding of the rhythms and processes involved in “winding down” are necessary to the current politics of the UK amidst austerity and a potential exit from the ,European Union. But further, when so much of contemporary life feels like it is “on an edge,” when so much is ending, refuses to end, or has to end; an analysis of endings in austerity may bear resemblance with global challenges of the time, and broaden possibilities for action. I want to thank Louise Amoore for her generous engagement with this essay, and especially the beautiful notes on finitude, Sarah Hughes for some very helpful comments particularly on linearity, and David Webb for many informing discussions about “gaps and cracks” which have taken place as part of our collaborative work and the ESRC IAA open chair on “doom and hope” in austerity. 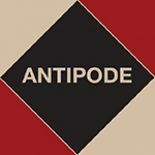 This entry was posted on 19 November 2018 by Antipode Editorial Office in Interventions and tagged agency, austerity, Brexit, finitude, fiscal retrenchment, grief, hope, inequality, localism, public services, resilience, responsibility, third sector, UK politics, welfare cuts, welfare reform.